One of the awesome things I like about The Grateful Golfer is my plan to willingness to freely share all things golf. I think it is important to be open to suggestions and sage advice of other players/readers who have experienced some of the same golfing issues. It is these helpful people who expand my knowledge about and understanding about golf. They also aid in my continuing quest to increase my knowledge of this fun sport. Working together to improve our game only makes us better. My experience has taught me that if I freely share their sage advice, everyone wins. If that is the case with respect to golf, then we are all winners. If you are wondering what I am talking about, then let me explain just a bit. I receive advice about the mental aspects of golf. I listen to like-minded players who take huge steps to change their game. As they learn and share with the rest of us, I share with you; that way we can all benefit. Others outline their challenges and successes. More importantly, they share “how” they overcome challenge and many of their comments are helpful to you as a reader. Overall, my point is that not all the information found at The Grateful Golfer are my own. 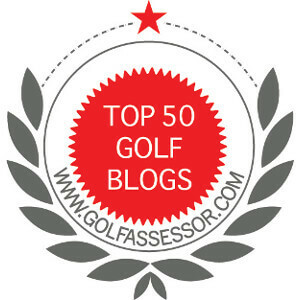 Sage advice and positive comments are vital to the success of my golf blog. If you are wondering where this information is stored, then look at the ‘comments’ for many of my articles. You will find valuable information that just might be the nugget you need to improve your game! It is worth the look. Thanks for everyone who graciously comments and shares their views, tips, hints, and sage advice. I enjoy talking to you every day.